DJ Booth Hire from Gas&Air Studios. 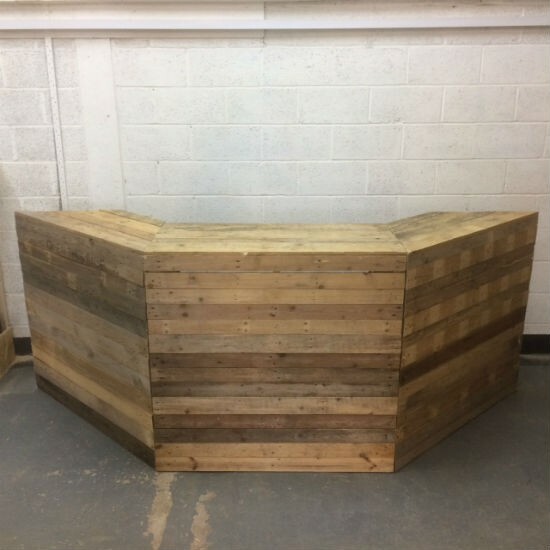 Our handmade, unique DJ booths are available to hire for your wedding, party or festival. All of our hire items are handmade from reclaimed pallet wood, meaning each one is different to the next. Making them perfect for creating that unique event! The entire booth comes with inner shelving. Wheels can be added to the bottom of the DJ booth to make the whole thing easy to move around if needed.